Come sit on The Couch every Monday when I present "Musicians You Should Know". We cover Blues and Rock and Roll with occasional forays into Country/Roots and R&B. Each show we interview at least 3 guests and sometimes 4. 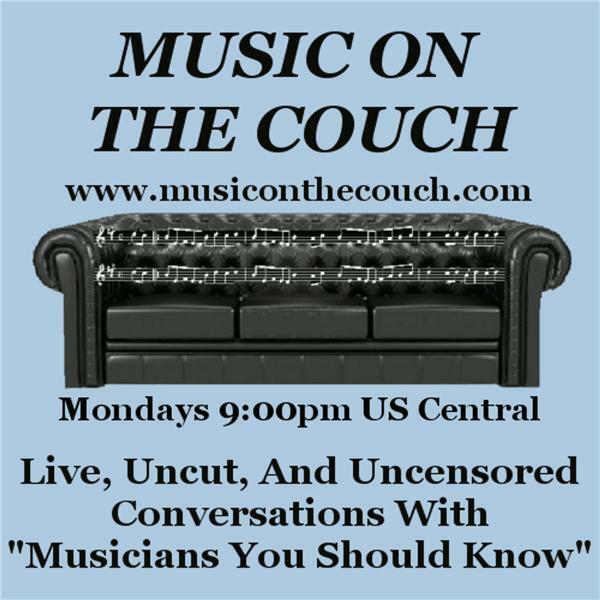 Many of my past guests honor Music On The Couch by debuting new music before it is released. I have had the honor to present WORLD PREMIERS of a number of albums over the last year. TAYLOR SCOTT Taylor Scott has been touring the US, Canada & Europe for years and spent time touring with Otis Taylor. His new album is entitled, All We Have and Taylor and I will chat about his world and the music he makes. CHRIS O'LEARY – COUCH KID NEW MUSIC We rescheduled Chris after we had to cancel him last month. Will be fun to catch up and talk about the new album, 7 Minutes Late. KENNY PARKER Kenny Parker has released Hellfire and it is a collection of dynamic music from the Detroit musician. He and I will talk about his journey that included time playing with Mr. Bo. TONY HOLIDAY Tony and London Stone have been making stops along the way while touring…and recording music with a number of incredible musicians, all collected in the album Porch Sessions. Tony and I will discuss the album and more.